Korean-born singer, SS501`s Park Jung Min has released his latest mini-album “Winter Love” on the 23rd of November. 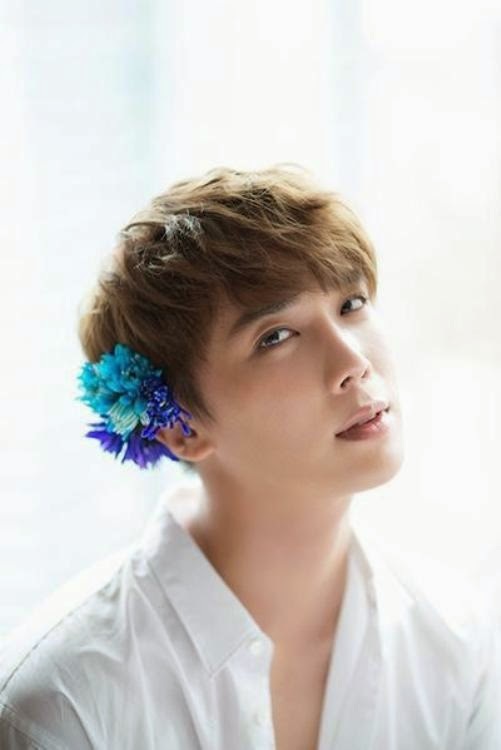 This time, “Josei Jishin” brings you an exclusive interview with Park Jung Min who came to Japan to carry out (his newest album’s) release commemorative events. He talked (about many things), from an episode about the album production, to the first visit he made for the MV shooting, also talked about the memories he has of his short stay in New York City, in the United States among others. Into what kind of work have you finalized “Winter Love”, realeased on 23rd of November? After listening the song I feel like the melody is a medium ballad, isn’t it? The Korean lyrics have a slightly heart-rending feeling, as for the Japanese lyrics, they are a little more brightful. How should I put it, I think that translating the Japanese version, there`s also a part of it that has a heart-rending feeling. This time I also took upon myself writting the Japanese lyrics, lyrics such as ♫A white sweeter looks good♫, ♫Cheeks which suddenly turn reticent and red♫ and other similar phrases were all written by me, resulting into some lovely lyrics. I made it as it were a drama, I wanted to make use of some situation-like kind of things. On one side imagining the stance of the lovers in the story, on the other side, pondering over it. For the Korean version, although the melody is the same, I interpret it with a heart-rendering feeling by adding some phrases about parting, as for the Japanese version, it describes a love story that is just about to begin, so beacause it turned into having a cute feeling, the contents of the lyrics are contradictory to each other. In the past, when I released “Kara Kara” and “Wara Wara”, I used the Korean words “Go Go” and “Come Come” thus turned it into something similar with this that has completely opposite meaning with the same effect. It is very interesting trying to sing lyrics of opposite contents in the same musical composition, isn`t it? What is the reason why you want to write about stories that developed into lovers from friends relation? Listening to the song, I would think whether this kind of feeling will be suited for it or not. It is according to the impression I get after listening the song. After all, in winter, aren`t songs that are about winter being able to warm your heart the best ones? even though the body still feels cold. It is cold in Korea right now, isn`t it? Japan is still warm. In Korea is already so cold to the extent that you almost can`t move a single step anymore, can`t go outside. So how will you spend such a frigid winter? What are the contents of the commemorative events for the new songs` release? First of all, the release of the new songs is the most important, I am thinking about holding a winter-themed concert. And because this time there`s a band and dancers, I want to make it in such a way so that it becomes a concert that both sides can enjoy. 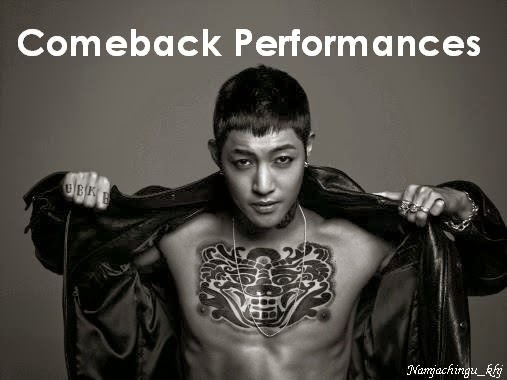 I want to make a LIVE (a concert) that doesn`t loose to the severe winter, so that the (fans’) feelings become warmer! In October you toured across South America, what places have you visited? I visited 4 cities in Mexico, Costa Rica, Bolivia and Peru. After that I carried on with what I said just a few moments ago. I went directly over to NY for the shooting of the MV. I like South America, on that side of the world there are also lots of fans. Very surprisingly, SS501 is very popular in South America right now. (laughs) Do they like idols that have a bright feeling to them? They know my current songs and Romeo`s songs, too. What kind of feeling did the fans in South America give to you? Very passionate, like they are really enjoying the music, that kind of very enthusiastic feeling. Very passionate! Very cute! Do you personally like South America`s scenery and cuisine? The wine and beer are very nice, the food is a little bit salty though. However, with every new city the food is also different, so that`s also very interesting. Peruvian food is very delicious; Bolivian food is also to my taste; in Costa Rica the staff and everyone else ate hot pepper, jalapeño, Costa Rica`s jalapeño is said to be the spiciest in South America. We played papper-rock-scissors, those who lost had to eat this as a punishment. Aren’t Korean people also very good at eating spicy food? No~ South America`s jalapeño is dangerously spicy (laughs). Even spicier than Korea’s hot peppers, extremely spicy. The following day I went to Bolivia but because the altitude was very high, around 4000 meters above sea level, I had difficulties in breathing and abdominal pain, afterwards it just became unbearable. (laughs) Costa Rica is a great place for resorts, it`s really nice. There`s only one month left before this year ends, looking back at 2014, what kind of year was it for you? This year I established my own company, also did my best to have a good run. Although I don`t know yet what next year will bring for me, but I want to be myself, do things at my own pace and cherrish the people around me, I also wish to be cherrished (laughs) I want to do my best. What do you think is a great thing about having established your own company? (A great thing) is being able to release a lot of music. Because the thing that fans like the most about Jung Min is as expected my singing voice, so producing music as my principal occupation has been greatly enriched. This year I was able to release 4 (albums) under the name of “Park Jungmin inc.” It includes my 3 albums and Romeo`s “Alive”. As for the future, well~ I still have to serve in the military and I`d also like to try my best in drama field. Do you feel uneasy about military? Uh-huh, not really. Because there`s Kim Kyu Jong, member who served in the military before. And because both my singing and acting are pretty good, I think that I can still continue my work even after I come back. It`s quite good, because my personality is also not bad ahaha (laughs). Speaking about a place where I can return to, I still have my own company.